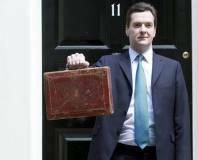 Chancellor of the Exchequer George Osborne has pledged a 25% tax relief for games developers in the UK. 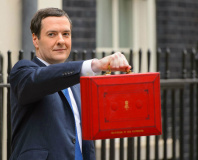 The relief on corporation tax was announced during the Autumn Statement and this also extends to animation and high-end television industries. The measures should be implemented in April 2013 and should lead to a relief of £15m in 2013-2014 and £35m in 2014-2015. 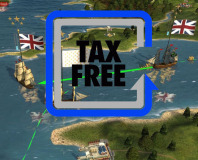 Tax relief for developers is something that UK gaming association TIGA has been campaigning for and the organisation announced that the measures should be simple to implement and have a significant economic impact on the industry. In response to an additional £6m pledged for training in the industry, TIGA has also advised that resources need to be directed towards management and leadership development as opposed to simply poured into workforce training. Wilson also highlighted Quebec in Canada which has a much higher 37.5% level of tax relief for game developers. The association for UK Interactive Entertainment (UKIE) also welcomed the news, having initially called for a 30% rate of relief from the scheme. 'As soon as the full draft legislation is published we’ll be poring over the finer details to ensure that the fine tuning and implementation of the proposal is fully in line with the needs of our industry,' added UKIE chief executive Dr Jo Twist. Games, IoT and Bitcoin on the menu.